Anger is an emotion that is unusual. Under the influence of anger, people are prone to committing violence or to raising their voice. Often, people regret their actions they take when they are angry. 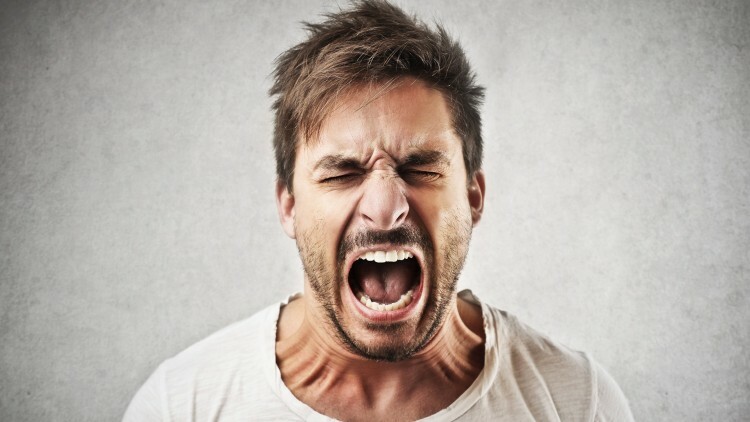 A perpetual state of anger can lead to high blood pressure. Calm yourself down when you get angry. Your body will send you some signals. You make start breathing faster, blushing or get more tensed up. To calm yourself down, you must distract yourself for a few minutes. Rage is expensive. If you don’t control your behavior when you are in a rage, you should get into fights and quarrels. Many people commit crimes because of the moment of rage. Often these rage moments last only 5 to 10 minutes. In addition to managing your own temper, it is clear that people will try to pick a fight with you. When that happens you can choose to react or you can calm down and walk away for a while. How you react determines the outcome of the conflict. Learn this – always walk away first. Stress from anger creates health problems. We won’t address health from diet and exercise in this article. But we can deal with stress from anger. Always handle stress carefully. You can do that by avoiding conflict. Walk away and always give factual inputs. Tell people how you feel when they are in a receptive mode. Sleeping is a good way to tackle anger. Sleeping calms your mind and body. Having sufficient sleep in the night is crucial to better anger management. I have been a victim of bad anger management. I brood over matters and definitely don’t always hold back criticism of my own work or my colleagues’ work in my previous role in a Fintech start up. Many believe that “openness” is the way to making progress. Yes it is. But openness and tactfulness must come hand in hand. Never allow anger to get the better of you. Don’t believe that you can control yourself when you are in a rage. Do not even allow the rage to develop. 1. How to control your anger. You can control your anger, and you have a responsibility to do so," says clinical psychologist Isabel Clarke, a specialist in anger management. 2. Controlling anger before it controls you. Anger is a completely normal, usually healthy, human emotion. But when it gets out of control and turns destructive, it can lead to problems—problems at work, in your personal relationships, and in the overall quality of your life. 3. Anger Management. Anger is a perfectly normal human emotion and, when dealt with appropriately, can even be considered a healthy emotion.